EasyApache is a powerful script that allows you to upgrade and configure Apache web server. It also lets you enable/disable Apache or PHP modules using the EasyApache tool in WHM. 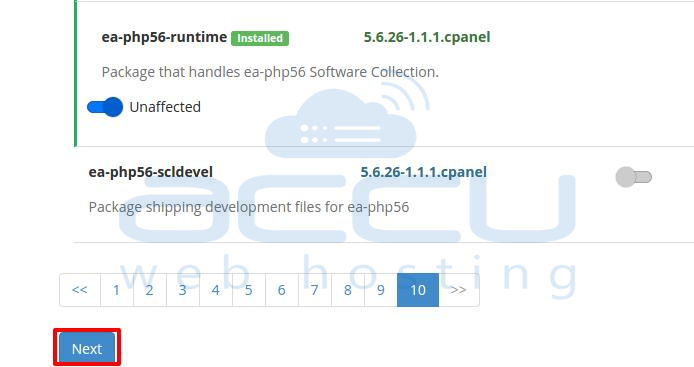 During this process, cPanel rebuilds Apache and PHP with the options you select or deselect. With an older version of cPanel, EasyApache version 3.0 was shipped, whereas in the latest version of cPanel (58.0), EasyApache version 4.0 is shipped. EasyApche 4.0 is little tricky to configure compared to that EasyApache 3.0. In this tutorial, we'll show you, how to enable/disable Apache & PHP modules using the EasyApache4. If you are using EasyApache 3.0, you should refer to this tutorial. Login into your WHM panel via URL https://server-IP-Address:2087. In the left-hand menu pane, type EasyApache and you will see EasyApache4 option appearing. On the next screen, click on Customize button on current Apache settings. It will load your current Apache settings. Click on the Apache module you want to use and click Next. On the next screen, enable your choice of Apache modules to be installed in the current profile. In default VPS configuration, we enable following Apache modules. Click on Next button once all the modules are selected. Now select the PHP versions you want to add in current profile and click Next. Enable your choice of PHP modules for the PHP version you select and click on Next. In default VPS configuration, we enable following PHP modules. Once necessary PHP modules are selected, the setup will review all the selection. It may take between 2 to 15 minutes based on a number of selected modules. On the next screen, the setup will show the list of packages to be installed. Click on Provision button to install the packages you have selected. Once it is provisioned, we need to enable suphp for all the PHP versions. 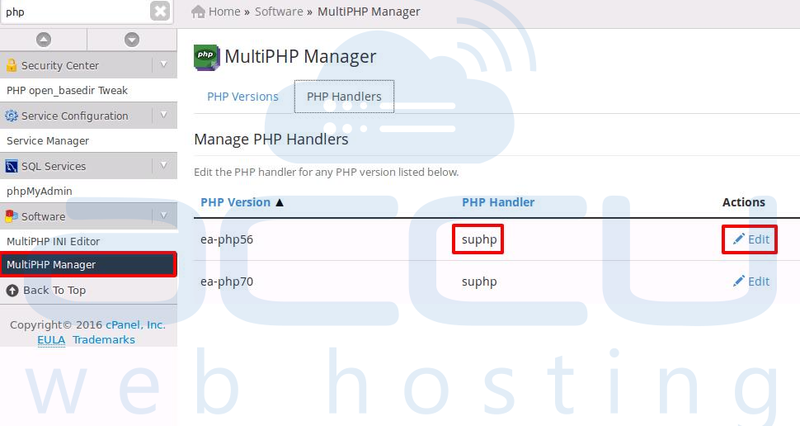 Goto MultiPHP Manager, click on Edit and select suphp and click on Apply. 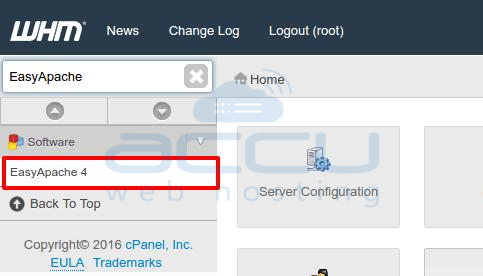 How to access cPanel account from WHM?